Somalia is a country located in the Horn of Africa, and even though most western nationalities are advised not to travel to Somalia, we cannot overlook the fact that the country has some fantastic attractions. There are two things that can get your attention in Somalia. One of them is the many historical caves. It is easy to feel like Indiana Jones on one of his mysteries when you are exploring those caves. The second attraction is the many beaches in Somalia. Some of them are superb and perfect for a swim. Not to mention that the scenery is stunning. We recommend that you visit the Zeila Coast and the Mogadishu beach. Just keep in mind that women must swim fully clothed since Sharia Law is enforced in Somalia. Before you travel to Somalia, you need to see if you need a visa. In fact, you certainly need a visa. According to Somalia’s visa policy, every traveler who arrives in Somalia is required to obtain a visa. However, all visas are given on arrival. The document allows you to stay within the country for up to 30 days. One thing that you need to remember is that not all points of entry issue visas on arrival. Only 5 of them do, and you are required to use them if you want a visa on arrival. Since we are all clear on the fact that everyone needs a visa for Somalia, our Visa Checker is not of much help. However, you can use it to obtain other valuable information. All you have to do is select your country of origin from the left drag-down menu and Somalia as the destination in the right menu. 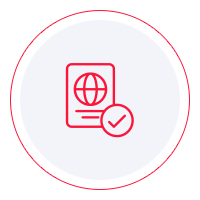 At the same time, since other types of visas are not available, iVisa cannot help with the visa application process. Nevertheless, if there is any chance we can help, we want to do it. That is why our support service is at your disposal 24/7, and it is entirely free of charge. The next thing you need to do before going to Somalia is learning about the visa requirements. You can do that online because the internet is full of information. However, we recommend to use it as a reference only because not everything you find online is reliable. The best thing you could do is call the issuing authority and make your inquiries there. They can give you the most reliable information. In the meantime, we can tell you that all foreigners who travel to Somalia need to have a valid passport that remains valid for at least another 6 months from the date of arrival. We regret that we cannot be of more assistance with the Somalia visa application process. We hope that you do not encounter any issues at arrival and that the information above is of some help.